Guest Blog: Mandryk & Blum on Are Unpaid College Internships Illegal? Here is another in my Guest Blog series. This one is from labour lawyers Joshua Mandryk and Nadine Blum who are lawyers at the Toronto law firm of Goldblatt Partners. I have discussed unpaid internships on this blog many times over the past 6 or 7 years. This blog explores the interesting question of whether the students of private career colleges taking internships as part of their programs are exempt from the Employment Standards Act. There is a widely held view that a broad “higher education” exception under Ontario’s Employment Standards Act (“ESA”), removes students from the protections of the ESA when they perform work as part of any university or college program. The publication uses the terms “college of applied arts and technology” and “college” interchangeably and suggests that the exclusion encompasses all college internships. However, we believe that this exception is much narrower than has been commonly understood and, in fact, it does not apply to a large, often vulnerable, segment of post-secondary education consumers: students attending Private Career Colleges. 2. An individual who performs work under a program approved by a college of applied arts and technology or a university. As noted, this exception is commonly understood to apply to interns performing work as part of “college or university programs”. However, the term “college of applied arts and technology” in s. 3(5) of the ESA has a defined statutory meaning and applies to only a small portion of Ontario’s colleges. There are two types of “colleges” in Ontario. Ontario’s twenty-four colleges of applied arts and technology are publicly funded providers established under the authority of the Ontario Colleges of Applied Arts and Technology Act. These colleges include George Brown, Centennial College, and Humber, to name a few. There are also more than 500 registered private career colleges in Ontario. The act that governs private career colleges (“PCCs”) is called the Private Career Colleges Act. PCCs serve over 50,000 students in Ontario and earn revenues of approximately $360M annually. PCCs are often situated in low-income areas and serve clients who are more often racialized, female, immigrant, and from low-income backgrounds than other post-secondary institutions. Many PCC programs include unpaid internships as part of their curriculum. (a) a college of applied arts and technology established under any Act,.. Accordingly, there is a strong argument that s. 3(5) of the ESA does not apply to internships run through PCCs, and that students in these placements are entitled to the ESA’s protections, including payment for their work while performing their internship, unless, as we discuss below, the nature of their internship meets the narrow training exception under s. 1(2) of the Act. 6. The individual is advised that he or she will receive no remuneration for the time that he or she spends in training. 2000, c. 41, s. 1 (2). This is the general test that is used when courts or Employment Standards Officers are determining whether or not an intern or trainee is exempt from the ESA. The six-part test contained in s. 1(2) of the ESA has “very restrictive conditions”, in the words of the Ministry of Labour. The overwhelming majority of unpaid internships in Ontario that do not fall under the s. 3(5) exclusion are illegal. 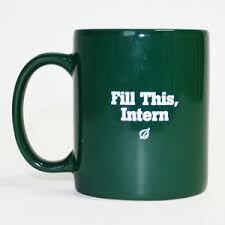 We suspect that the same would hold true for internships performed by PCC students. Where PCC interns are performing work that primarily benefits their placement organization or where they are performing work that would otherwise be done by employees, there is a good chance these internships would not meet the test under s. 1(2): see Girex Bancorp Inc. v. Hsieh 2004 CanLII 24679 (ON LRB), a leading case on s. 1(2) of the ESA. In other words, we believe that many PCC students are performing useful work as part of their college internships and are legally required to be paid for that work. Accordingly, there may be potentially broad and widespread ESA violations taking place in connection with PCC unpaid internship placements. This situation is particularly concerning given the demographic characteristics of PCC students noted above and the fact that, in many cases, students have to pay their PCC tuition while they perform these unpaid internships. The precarity of these students is further exacerbated by the fact that, in stark contrast to Ontario’s public colleges and universities, PCCs do not have students’ unions to advocate on students’ behalf on these issues.